Alex Ruane is a Research Physical Scientist at the NASA Goddard Institute for Space Studies (GISS) in New York City. He earned a B.S. in Atmospheric Science from Cornell University and a Ph.D. in Climate Science at the Scripps Institution of Oceanography at the University of California, San Diego, before pursuing postdoctoral work at GISS. Dr. Ruane is a civil servant in the GISS Climate Impacts Group who uses NASA earth observations and models to understand how current and future climate will affect society and the natural resources we care about. Dr. Ruane currently focuses on the impacts of extreme events and climate change on agriculture and food security. 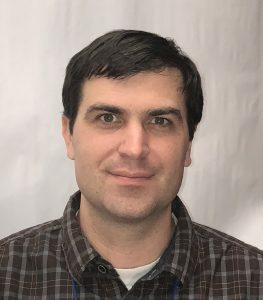 Alex is Science Coordinator and head of the Climate Team for the Agricultural Model Intercomparison and Improvement Project (AgMIP), an international effort involving more than 1000 experts in the agricultural modeling community (now in its ninth year). In this role he leads efforts to systematically develop, link, and apply climate, crop, livestock, economics, nutrition, and food security models for consistent assessment and intercomparison of climate impacts on the agricultural sector. A major element of his AgMIP research is coordinating regional and global integrated assessment combining multiple models, methods, scales, and disciplines. Many of these assessments are driven by earth system model (ESM) information, so AgMIP regularly employs ESM ensembles, downscaling techniques, and bias adjustment while also tracking uncertainty as the future is shaped by environmental, socioeconomic, technological, and political pressures. Dr. Ruane is active in several panels of panels of the US Global Change Research Program (USGCRP). He also founded and co-Chairs the Vulnerability, Impacts, Adaptation, and Climate Services (VIACS) Advisory Board for the sixth Phase of the Coupled Model Intercomparison Project (CMIP6), which forms a bridge between the climate modeling community and the diverse communities undertaking climate applications. Dr. Ruane has published extensively on the representation of hydroclimate in models, and has collaborated on urban impacts assessments for New York City and the Northeast Urban Corridor. In each of these areas he works to bring cutting-edge information into the VIACS communities, but also utilizes the applications lens to provide feedback on priority areas for ESM evaluation and development.